The final scene of Blackadder Goes Forth. How is it possible that an episode of a comedy show first broadcast in 1989 still gives us goosebumps? Blackadder has often been described as one of the best British comedy shows ever made. The last scene of Blackadder Goes Forth is also one of the most poignant and emotional few minutes of television ever created. How is it possible that this show, first aired 28 years ago, can still give us goosebumps? 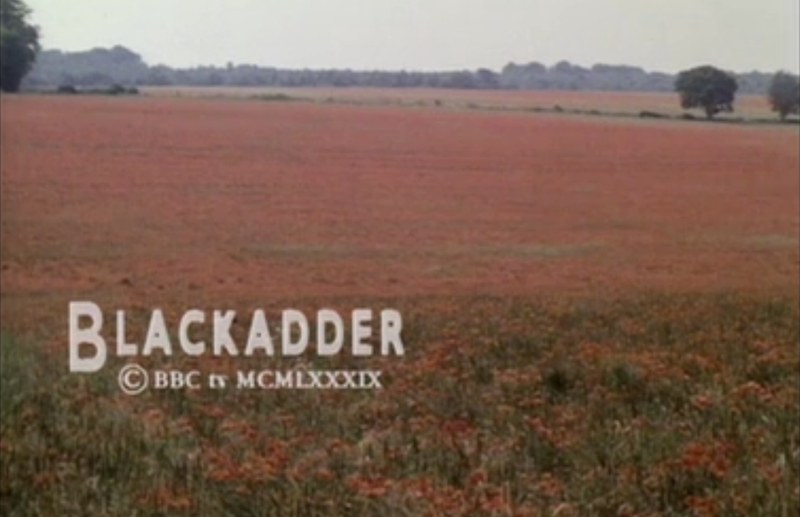 A lot of it is to do with the build up, not just within the last episode ofBlackadder of Blackadder Goes Forth itself, but the entire series. In the first 3 series of Blackadder, the main character is constantly trying to better himself in any dodgy, conniving, scheming way he can. Blackadder Goes Forth is different though. In this series, all of his cunning plans revolve around one simple goal – To survive. 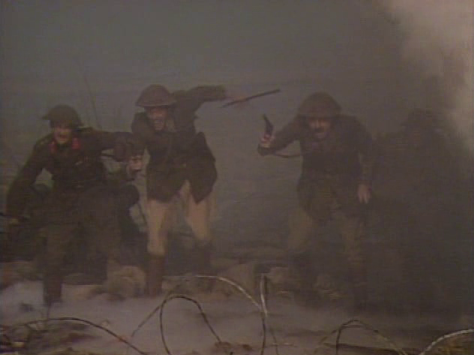 Blackadder knows that the longer he spends in the trenches, the greater his chances of dying become. So, he embarks on a series of adventures to get him out of there. He joins up with the 20 minuters thinking life as a pilot would be an easy option, tries his hand at cooking, and even becomes a spy catcher. Whatever he does, though, he always ends up back in the trenches. And until finally, we come to the last episode. 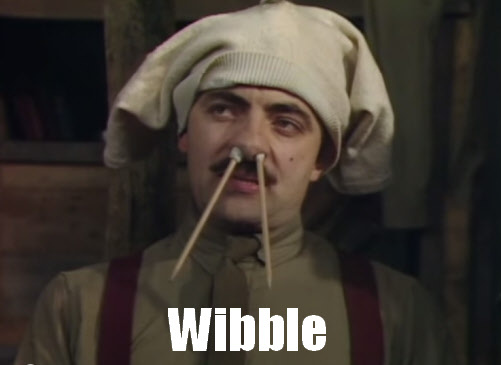 All of Blackadder’s schemes come to nothing, and even sticking a pair of underpants on his head and two pencils up his nose doesn’t work! The inevitable, is as they say, inevitable. His schemes to get out of the trenches fail, and Blackadder and the boys have to make a charge into no-mans land as part of the big push. All of the comedy in the episode has built up, and now we are giving a stark contrast. 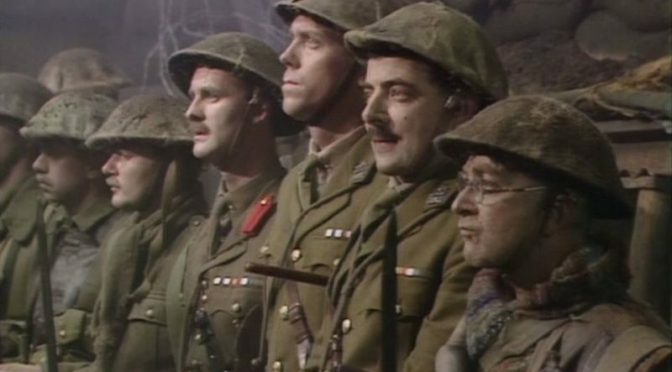 We finally realise that there’s no turning back for Blackadder and his companions, just as there was no turning back for the brave men of the First World War they represent. Good luck everyone. Previous PostBlackadder George Quotes – The best scenes with George (video)Next PostNovember Blackadder T-Shirt Giveaway – That sounds like a cunning plan!